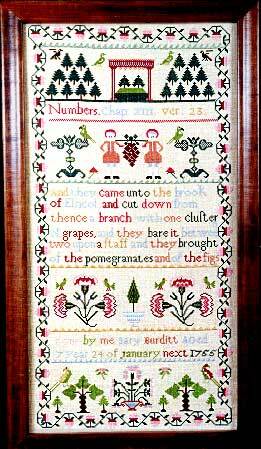 Linen count and finished size: 35 or 40 count (please specify!) 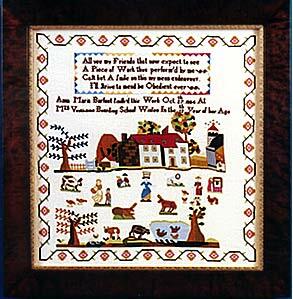 18-3/4"x24-1/2" or 16-1/2"x21-1/2"
On 40 count linen the reproduction will most closely approximate the size of the original at 13" x 32". 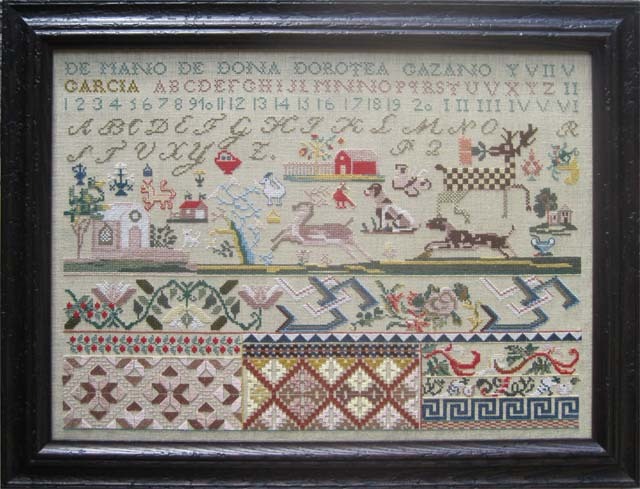 the stitches used are primarily cross, with some petit point and double running and back stitched embellishments. 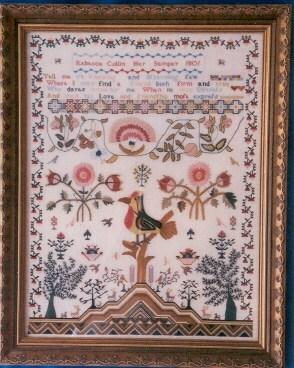 the size of the original- 19-1/2" x 14". 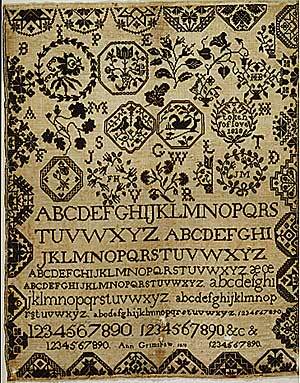 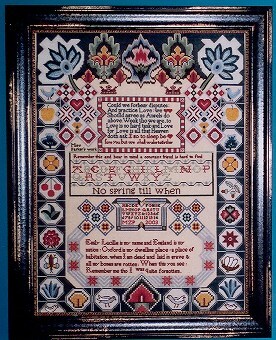 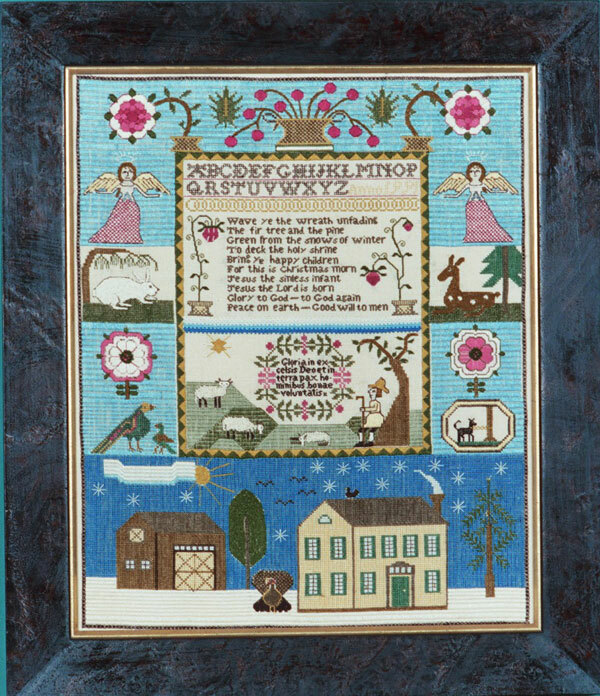 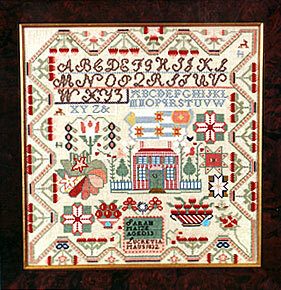 Stitches used in the sampler are cross, petit point, and French knots. 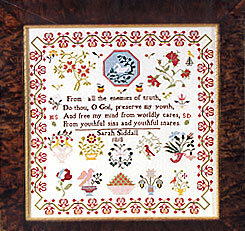 Stitches: cross, counted satin, and a small amount of Queen stitch (two strawberries). 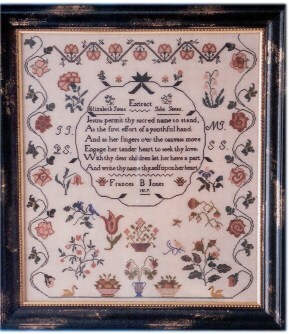 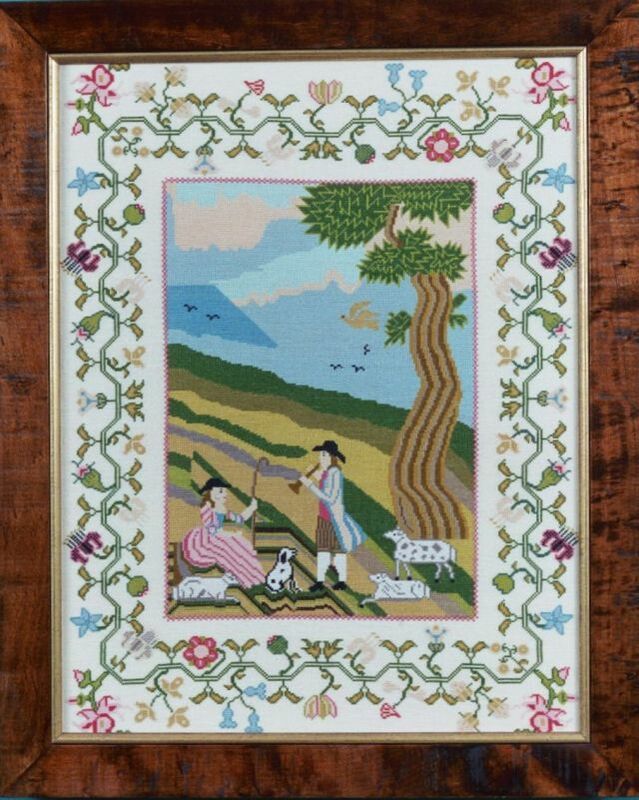 Origin and date: 18th century English Rated: Beginning to intermediate Linen count and finished size: 35 count, 11-1/2"x23-1/4"
On 35 count linen, the finished sampler will measure approximately 24-1/2 " x 28 ". 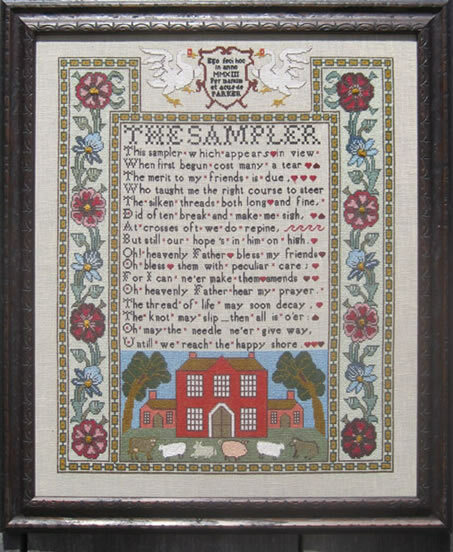 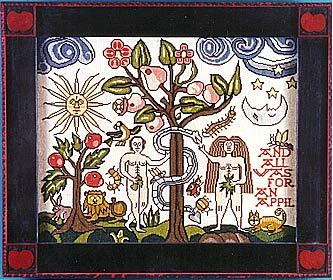 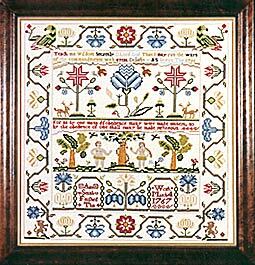 The only stitch required to complete this reproduction sampler is cross stitch, so it is recommended for any skill level. 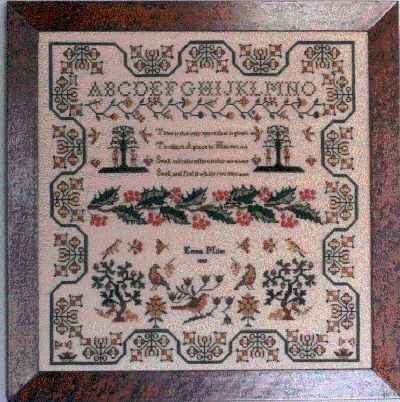 On 35 count linen it will measure approximately 21" x16". 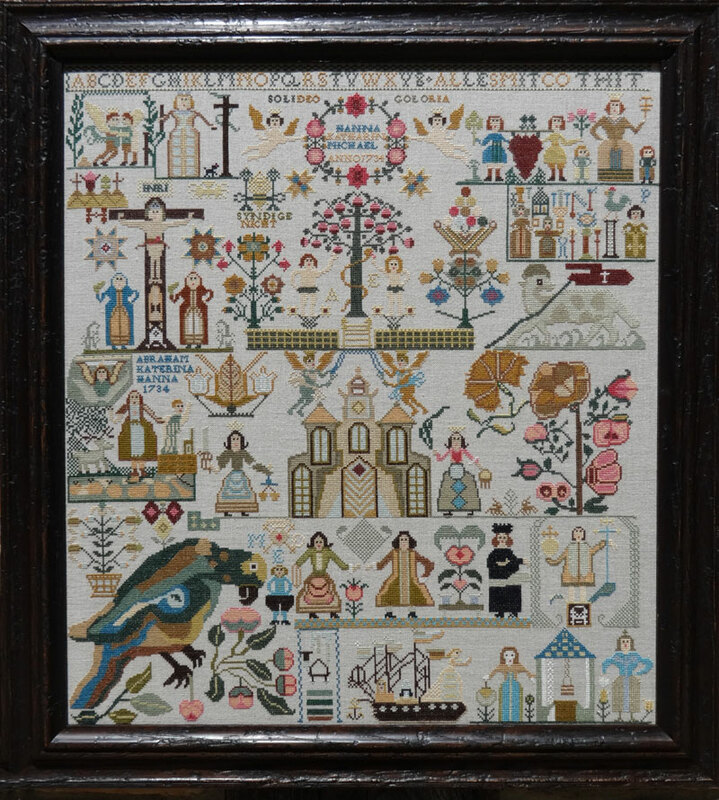 On 40 count linen, like the original, it will measure 18" x 14". 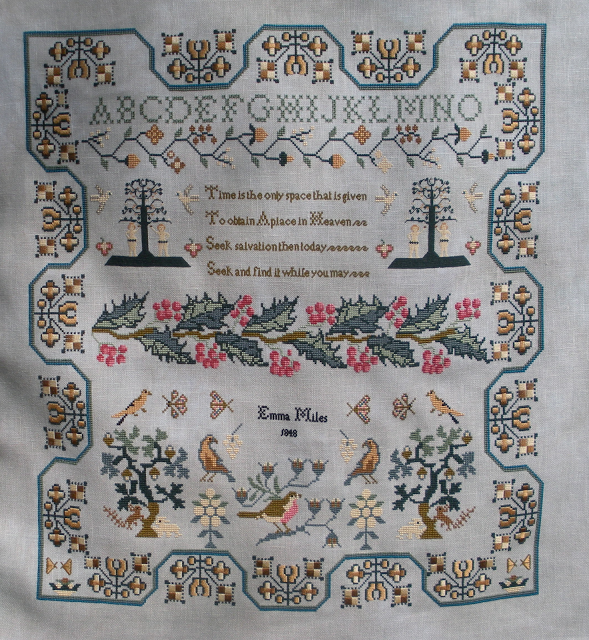 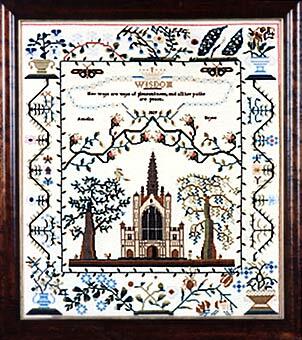 Stitches used in the sampler are cross, back, counted thread satin, queen, French knots, Gobelin and stem. 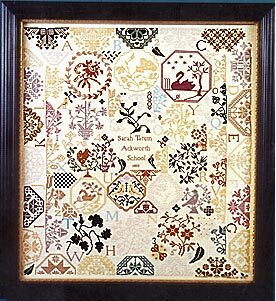 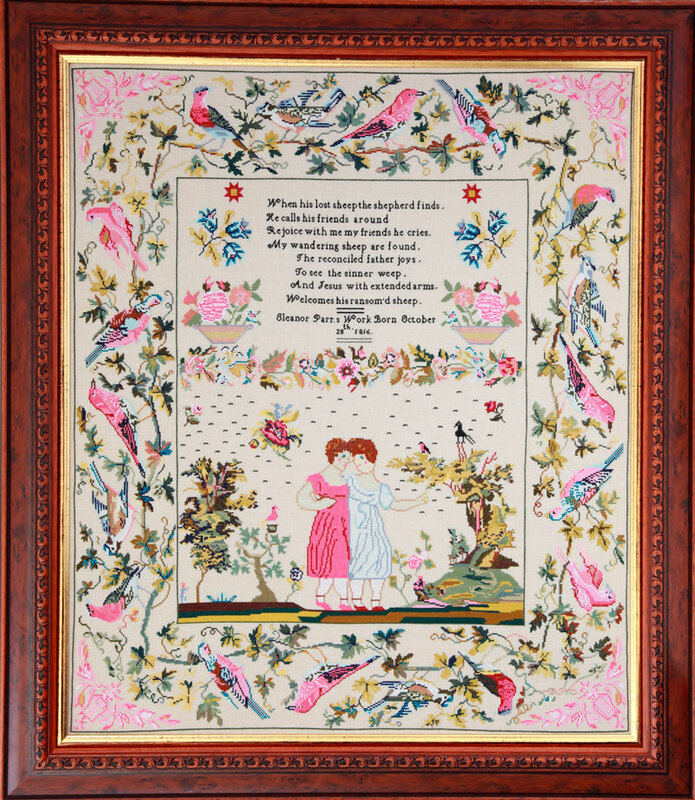 Advanced Linen count and finished size: 35 count, 17"x19-1/2"
Stitches used include cross, counted (and or freehand) satin stitch, bullion knots, eyelets, straight stitch, and stem stitch. 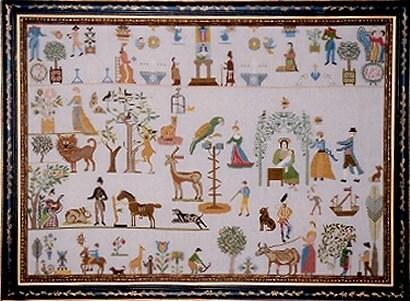 size: 35 or 40 count linen, 17"x17-1/2" or 14-3/4"x15-1/2"